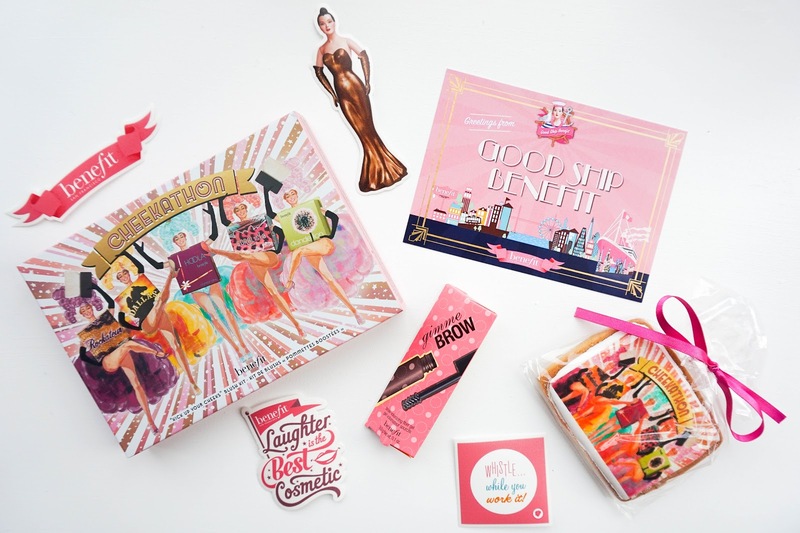 As promised in my last post all about my recent experience on the #GoodShipBenefit with House of Fraser, today I am back to tell you all about the goodie bag that included the new Benefit Cheekathon Palette* & one of my all time favourite products, the Gimme Brow (there will also be a cheeky giveaway at the end of the post so watch out for that). As you can see we we're spoiled by House of Fraser and I couldn't believe it when I saw the new Cheekathon palette, it's even more gorgeous to look at in person trust me. The palette is available to buy now exclusively to House of Fraser for £44.50 and if you like your blushes or you're interested to see what all the fuss is with the Benefit ones, then this is the time to do it (it's also an absolute bargain). The price may seem like a lot when you think about it at first but with 5 full sized blushes (including a bronzer) that each retail at £23.50 you are saving a lot. Not to mention that the packaging is pretty, fun & quirky. So let me tell you a little bit more about the Benefit Cheekathon Palette*... as I mentioned you get 5 fun sized blushes and unlike other palettes in the past (the Christmas ones comes to mind), the pans are all really well sized so they're perfect for your fluffy blush brushes. I love the cardboard packaging, it's pretty & study enough for travelling, not to mention that there is also a mirror included. 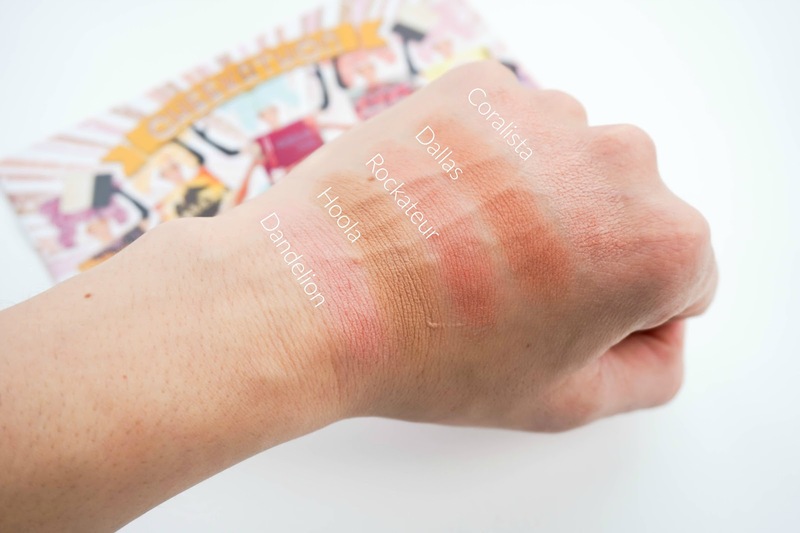 The shades within are some of my favourite Benefit blush shades and they would suit most skin tones in my opinion (especially light to medium skin tones). The pigmentation is fantastic and the blushes feel really smooth... I've swatched them all that evening on the ship and I personally noticed no difference at all between the pans in this palette and the individual blushes being sold. 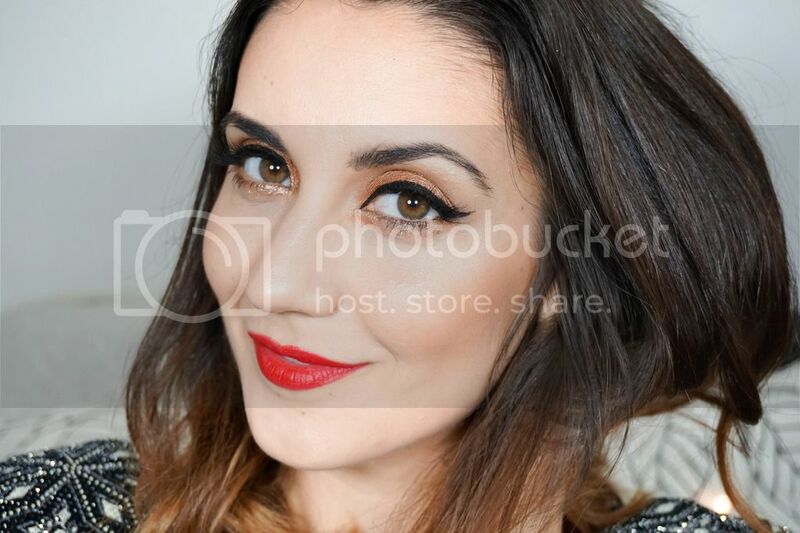 There is also a brush included which is really good quality if you're travelling, but I rarely tend to use these kinds brushes on a day to day basis (although in the masterclass at the event, Lauren used it for contouring and it look fantastic). 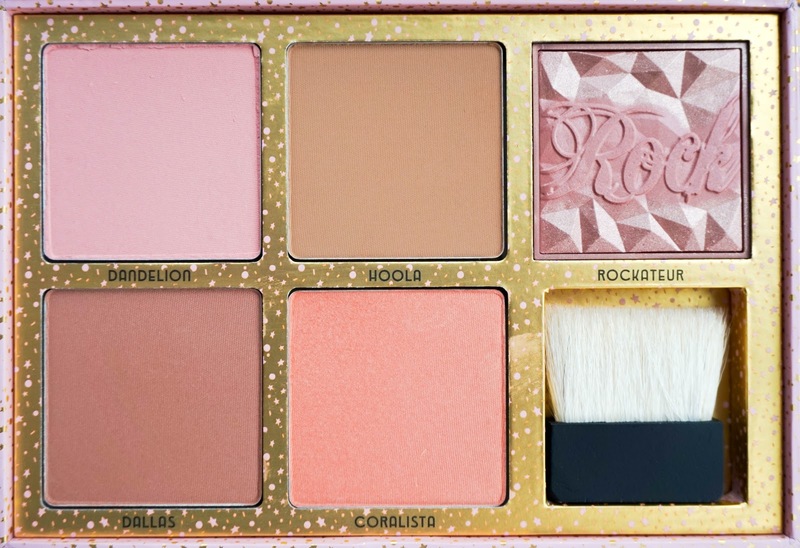 The only thing that's missing in the palette is a good highlighter and that's purely because Benefit don't actually have any powder highlighters released (not yet anyway, hopefully it's in the works or I'm just wishfully thinking). Other than that I think it's a fantastic little palette and an absolute beaut. I did however go through my stash and noticed that I actually own every single shade already (some I even have doubles such as Hoola & Coralista)... so instead of being greedy and holding onto this palette in my ever growing stash, I thought I would do a giveaway for one lucky reader, which will hopefully use this little beauty much more than I would (all the details will be at the end of the post). 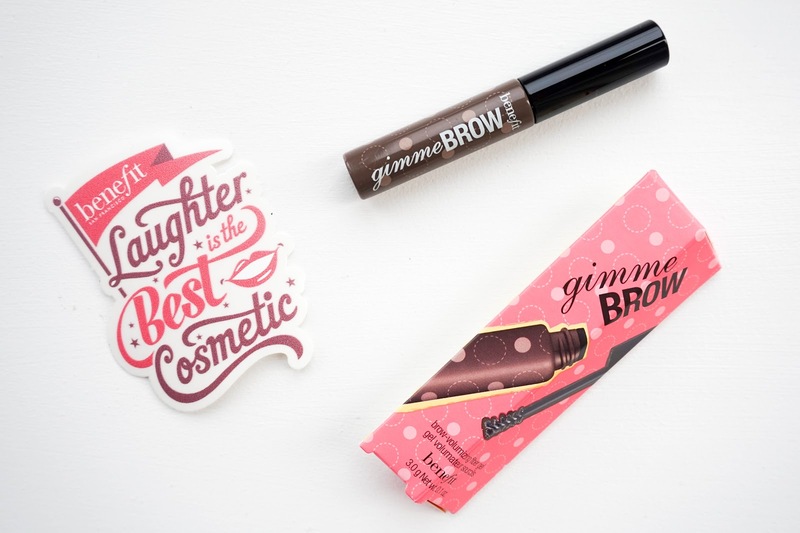 Before I end this post with the giveaway, I also wanted to quickly mention the other product included in my goodie bag, the Benefit Gimme Brow. I won't bore you to death with all the details because I have definitely praised this product before in many of my posts, it's one of my all time favourites and I absolutely love it for day to day makeup looks. It's basically a brush on fibre gel with tint, to add volume & definition to the brows. The reason why I love it so much is the brush, which is just perfectly sized in my opinion. 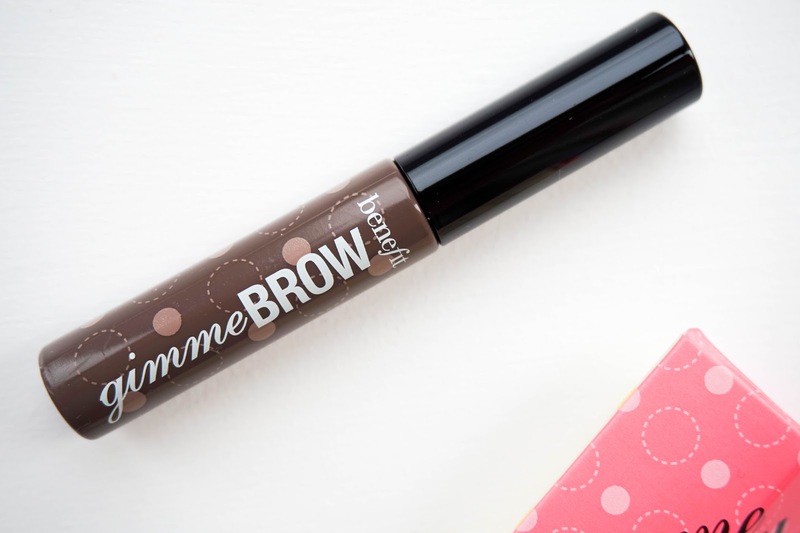 I've tried similar drugstore brow gels, but always came back to this Benefit version as the brush is amazing, it means that I can quickly brush the product through my brows without making a mess. If you haven't tried it before, I definitely recommend checking it out and maybe even applying it in store to see why I rave about it so much. 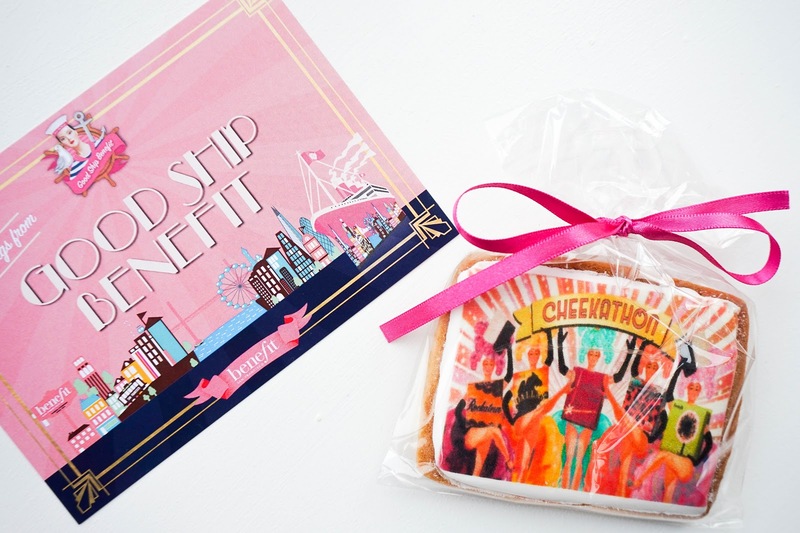 Oh and there was also a super tasty, almost too pretty to eat biscuit included, but once I was done photographing the goodie bag I did in fact scoff the whole thing and it was delicious #noregrets. But now to the part you've all been waiting for... the exciting giveaway. 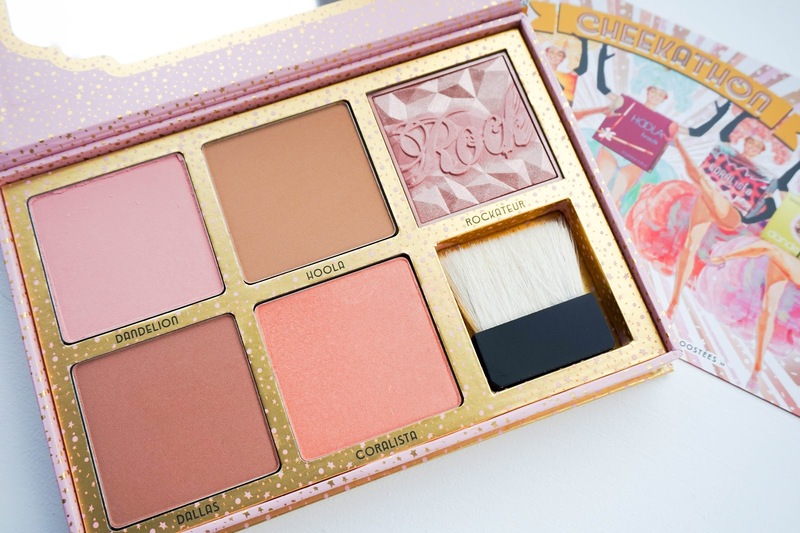 So as I mentioned I will be giving away the Benefit Cheekathon Palette to one of you lucky readers. The giveaway starts today Friday 29th of April and will run for a whole month until Friday 27th of May, when I will contact the winner via email and twitter (if the winner does not get back to me within 24 hours I will chose another winner). The giveaway is international so you can all enter regardless of your location. As you can see the palette is in perfect condition and that's how it will be sent (wrapped in bubblewrap too), but if it gets damaged en route I can't be held responsible. However I will have it sent through tracked mail to make sure it actually gets to you. Lastly I'll be using Rafflecopter for the giveaway, where you will have 5 mandatory options along with a few extra optional ones to increase your chances of winning. The only thing left to say is best of luck to everyone!